Super-Longtime Grease with a synthetic base oil for longer regreasing intervals. 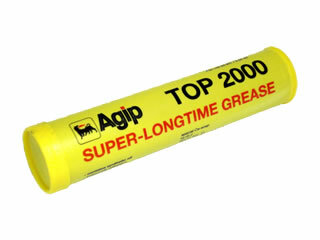 AUTOL TOP 2000 is a special grease with exceptional adhesive properties and very good extreme-pressure (EP) properties - a real Super-Longtime Grease suitab for very long regreasing intervals. Under difficult conditions it reduces wear and is especially resistant to wash outs in the lubrication points. It is extremely resistant to salt water, cooling lubricators, plant preservatives and many lyes. Due to its composition and if applied as directed, according to the manufacturers regulation, it is physiologically harmless and therfore also suitable for application in the foodstuff industry. Autol Top 2000 is a high pressure grease for the lubrication of vehicles, industrial, constructional and agricultural machines. It can be used without problems in critial lubrication points (impact loads, high moisture, salt water, high pressure with low relative movement). It can also be used for robots, continuous transporters as well as for boats or winter service. Despite the high base oil viscoscity, the application in central lubricating systems is possible without problems. Attention! The highest short-time peak temperature permitted is +125°C. Please observe the manufacturer’s specifications when selecting products!